Though you have plenty of fun and exciting things planned for the daytime during your visit to Helen, you may be hoping to find something more to do in the evening than just stay in your luxury cabin. Georgia getaways abound near the cabins as they provide some of the greatest nightlife around; you just have to know where to go. Have you ever experienced that moment when you are on a trip and you realize that you just don't know where to find the action? You realize you’re not on a familiar ground and without friends in the area, it’s a challenge to figure out where to find the local hot spots. Your vacation is a time to relax, unwind, and remove yourself from the problems of the “real world.” Though your visit to beautiful Northern Georgia will allow you to get away from it all, there may be a few things from back home that you do not want to leave behind. Where can you go in the Helen area to enjoy a drink? For a nightcap or a casual evening of relaxing with a cold beer, there are watering holes near the vacation cabin rentals in Helen. We are here, we know the area and are more than happy to help you find the perfect place to go to wet your whistle, kick back, and unwind by yourself or with someone near and dear to your heart. Take a night out away from the cabins and let Georgia blow you away with her fun things to do, hospitality, and her many ways to spend your evenings nearby. 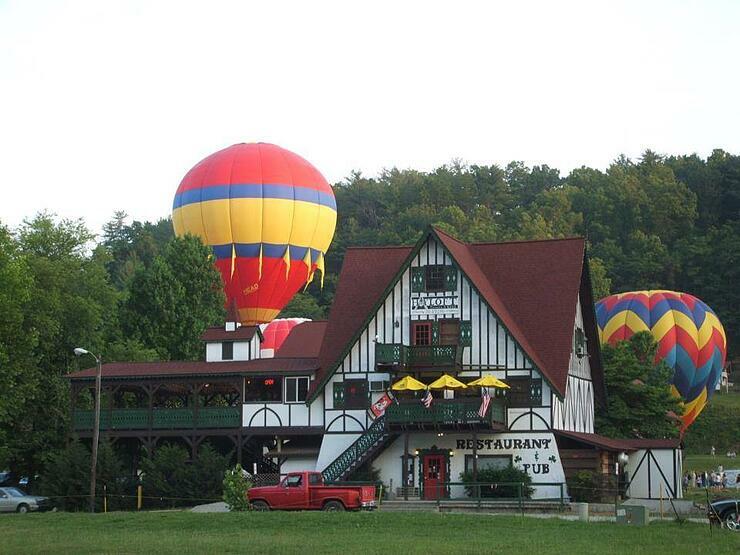 This all American bar and tavern that boasts top notch, fresh food named itself "the only place to be in Helen". With a slogan like that, who could resist checking it out first-hand? Bigg Daddy's serves up piping hot sandwiches, pizzas, pasta, steaks, wings, and even sushi to satisfy your appetite. You'll enjoy your meal even more when you take your pick from one of the largest and highest quality beer menus to be found in the entire state of Georgia. Wine connoisseurs, do not fear! This watering hole also provides patrons with a large vineyard selection including wines from Australia, France, South Africa, South America, and of course, the USA. While you are enjoying a cold one with your family or friends at Bigg Daddy's, you will never be bored. The tavern and music club is a great place to kick back and unwind as you enjoy live musical entertainment each weekend and dancing to boot! So get ready to have a blast with old friends and new ones, as you mingle with some of the locals who live near the cabins. Georgia never looked so fun! This hotspot is known for its great food, memorable fun, and amazing drinks. 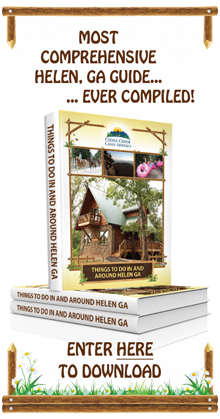 When visiting the Helen, Georgia locals will definitely recommend that you stop by the Hayloft of Helen. The tavern and grill were built from pictures that were taken of an Alpine homestead for authenticity. You'll enjoy American food fares such as cooked to order steaks and delightful ribs. During the weekdays you Hayloft invites its customers to join the all you can eat wings buffet. Of course, if you like, you can enjoy their excellent selection of beers, wines, and spirits while you munch on bar snacks until closing time. 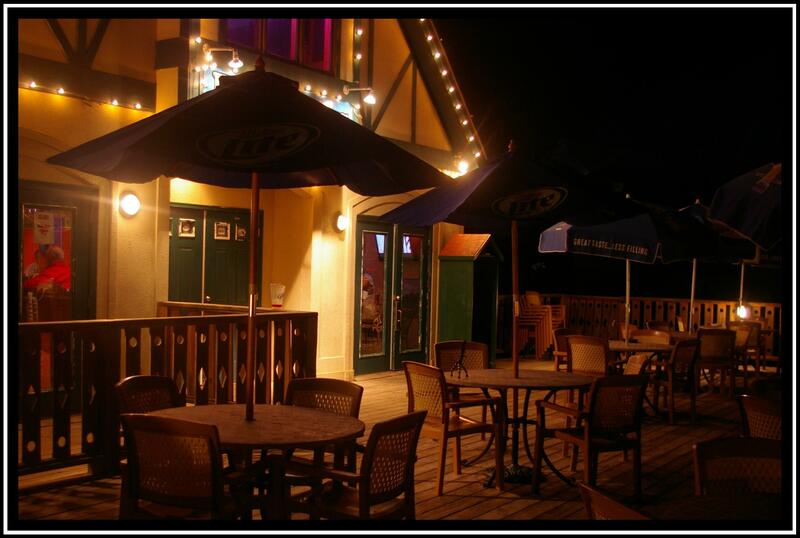 Oh, and don’t forget to stop by on a weekend for poker nights and live entertainment! Located a short drive from the Helen cabins, Georgia loves The Lodge at Copperhead. This local favorite features casual fine dining, a full-service bar, and entertainment. The entire venue is set up to make you feel like you are at home. The mission of The Lodge is to serve up delicious "comfort food with attitude". While the food is considered only the finest, The Lodge prides itself on serving up these classic dishes to casual folks who are looking to have a good time. As you enjoy a meal you can take your pick from an expansive beer and wine menu, or have the bartender whip up your favorite cocktail. The sky is the limit at The Lodge at Copperhead! When Georgia tourists need an escape from their luxurious Helen cabins, they head "under the bridge, by the river" to the Troll Tavern in downtown Helen. This area favorite features an irresistible restaurant with a full-service pub. Guests are welcome to try a wide variety of domestic and imported beers, local wines, cocktails, and so much more. 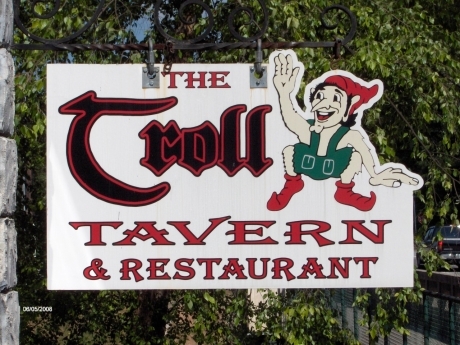 The Troll Tavern even features regionally based specialty drinks like "The Hooch Hurricane" and the "River Rum Runner", so you can enjoy the experience of trying something new! You are sure to find a drink that fits your tastes. Of course, your drinks will be well complimented by traditional German grub like bratwurst and Wiener Schnitzel, or if you prefer, you can always default to the classic American foods such as good old-fashioned American burgers, sandwiches, and salads. You may be surprised to learn that the oldest restaurant and watering hole in town only steps away from Cedar Creek cabins! Georgia locals and visitors alike love Paul's Steakhouse and Lounge. This restaurant serves up mouth-watering steaks, seafood, and more. If you're around on a Thursday night you will not want to miss Paul's "all you can eat" crab special. Fridays and Saturdays at Paul’s are especially fun with a live band playing country rock and roll music. 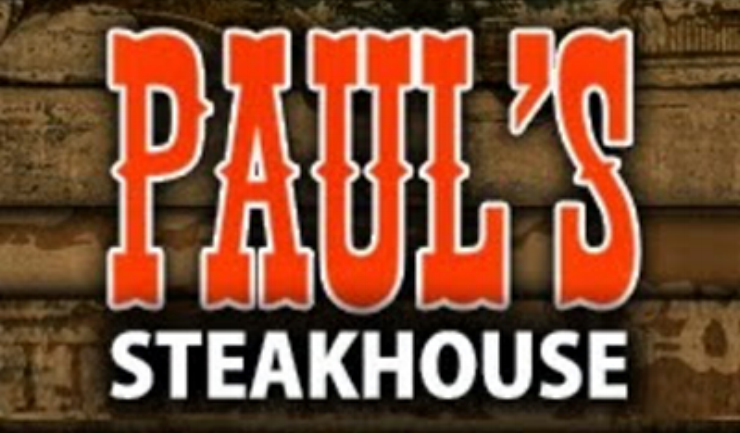 Paul’s Steakhouse and Lounge is the place to kick back and have a good time. 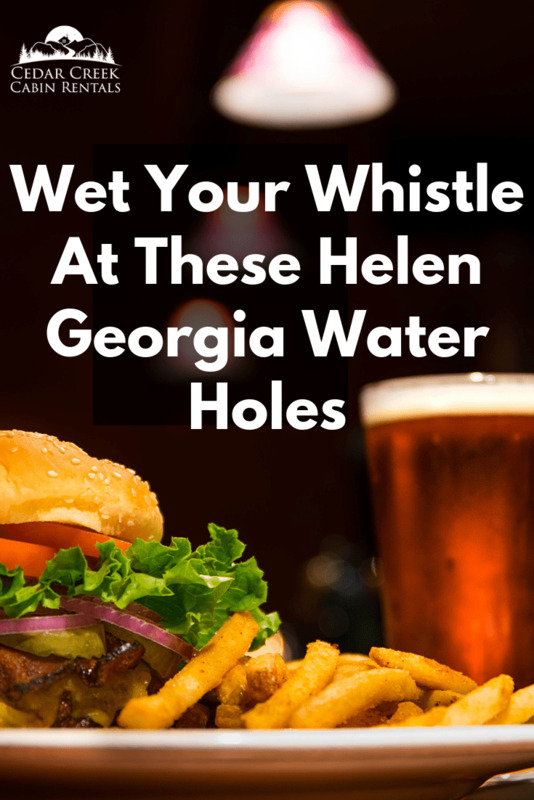 No matter what your taste, there is a watering hole for everyone at one of the many taverns in Helen. 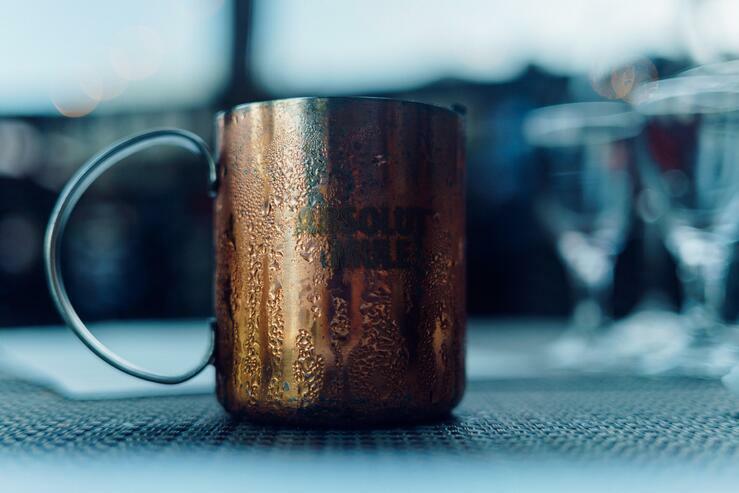 You will find a wide variety of brews, unique cocktails, and delicious eats without straying far from your cabin rental. Another great choice for a casual night out in Helen is the Nacoochee Village Tavern and Pizzeria. What could possibly be more all American than an evening of pizza and beer? 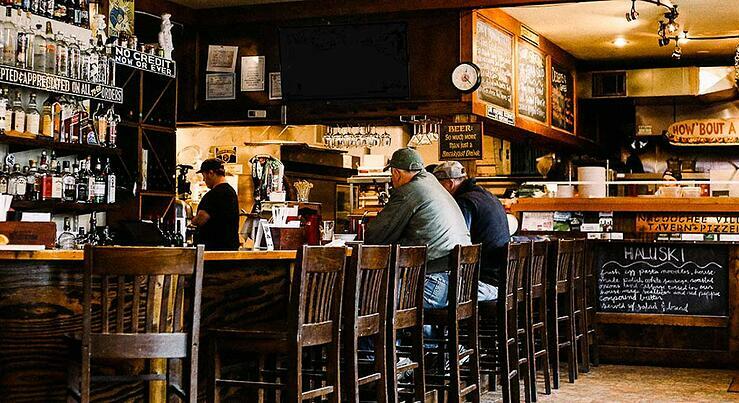 Though smaller than the beer menu at Bigg Daddy’s, the Village Tavern’s beer and wine list boast top quality selections. With both local and national brews, you have your choice of a variety of cool, delicious domestic beers. On Main Street in Alpine Helen, this charming watering hole will hit the spot when you are in need of an ice cold beer. 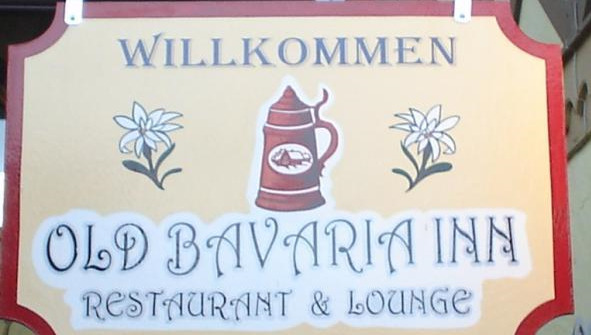 The Old Bavaria Inn and Restaurant possess an impressive beer menu with a huge variety of German beers. You can even take your pick from domestic drafts or beers from France, Canada, Italy, Ireland, Mexico, Denmark, and others. While you drink you can enjoy a delicious German Sub or Ruben sandwich. Cap off the night with a fun picture from the Bavaria PhotoShop and post it to FaceBook to commemorate your night. Make the most of your vacation and get the relaxation you deserve by visiting these local favorites. 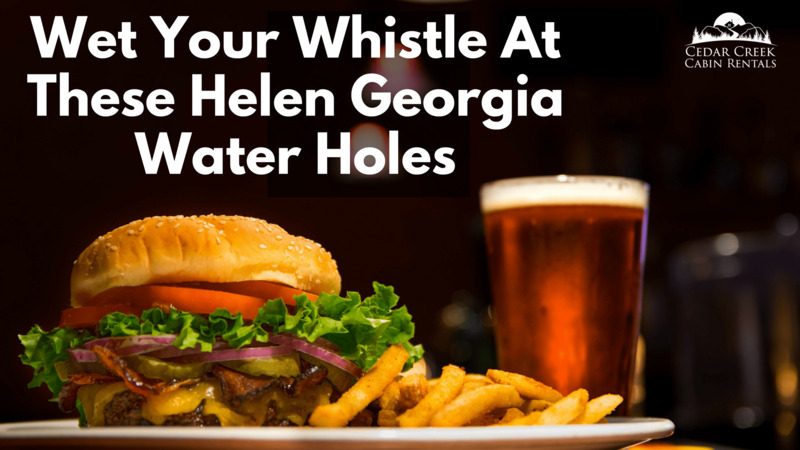 We'd love to hear your comments below about where you first wet your whistle while visiting Helen!